Americans wants to stay in Afghanistan for a long period its grand Strategic of Destabilizing China, Pakistan and Iran which all borders with the Afghanistan. 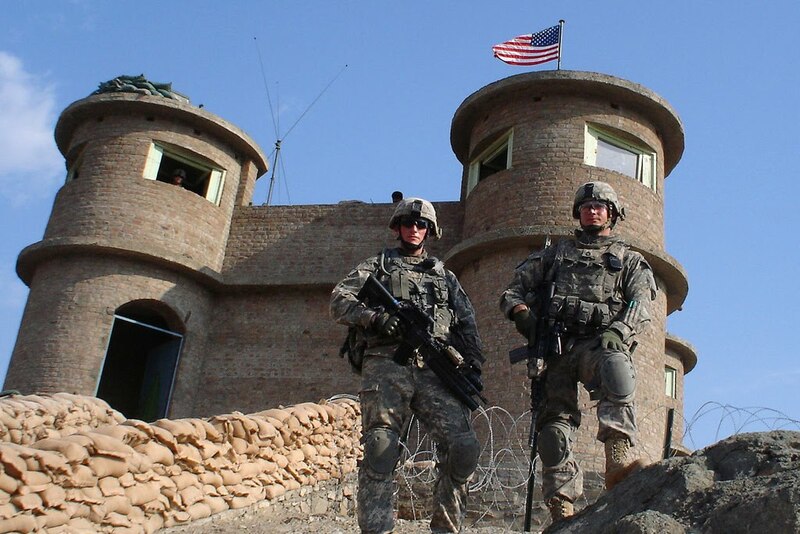 It is proved again Americans don't seems to be in mood of leaving Afghanistan soon as Afghan President Hamid Karzai has confirmed the American plan of making Permanent Bases in Afghanistan even after withdrawal of 2014. This decision is taking after negotiations of American Puppet President of Afghanistan Hamid Kazai and American officials earlier this week. Hamid Karzai confirmed it in press conference that Americans wants to make permanent Army bases in different cities of Afghanistan and we are doing negotiations on it. Withdrawal of Foreign Forces will start in July 2011 from Afghanistan which will complete in 2014.